What's this? This content was produced by Dotdash Creative, Lifewire's in-house branded content and custom ads team. Savvy shoppers know it’s the right time to upgrade your smart home. The latest home automation products are so easy to install these days - and so affordable - that making the jump now is as smart as the products are. Whether you’re buying for yourself or for someone you love, look for smart devices that work smoothly together, regardless of brand. Translate technology into real life with these five smart products from Best Buy’s online store where you’ll find great deals and expert advice. Smart starts at your front door. With the Ring Video Doorbell Pro, you'll be alerted on your smartphone to any doorstep activity with crystal-clear, 1080p high-definition resolution video that shows you exactly who's there, night or day. The super-wide angle camera offers a great field of view and the two-way audio gives any visitor the impression that you’re home but just can’t come to the door. You can even create custom-shaped motion-detection zones for your driveway or walkway plus set your app to send you alerts and record footage for those moments you want to see again. Ultra-slim and stylish, the Ring Video Doorbell Pro works with iOS, Android, and Windows devices. Inside your home, you need a single device that can control everything from bedroom lights to the living room television. That's where Google Home Hub comes in. 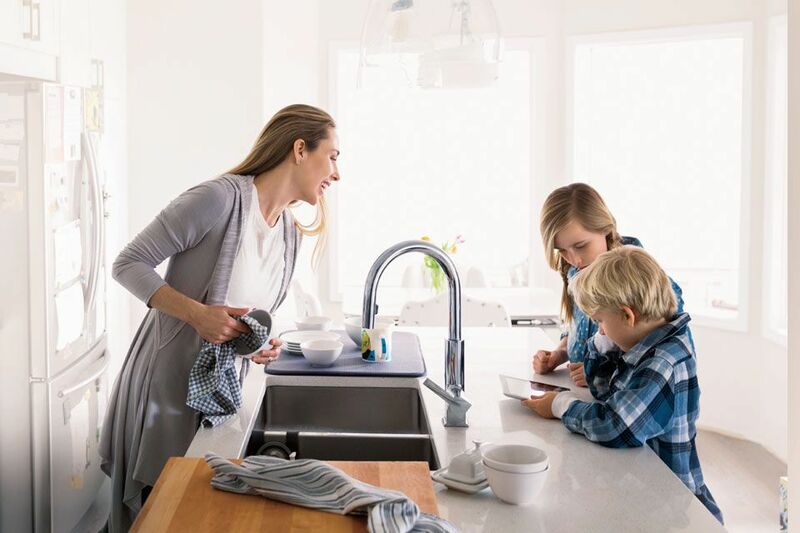 It's an all-in-one device for the modern connected home that lets you easily coordinate everything in your smart home through a single dashboard. 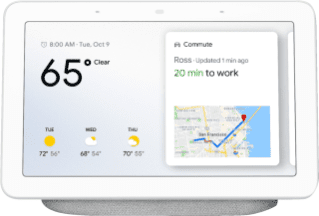 The Google Home Hub Smart Display uses Bluetooth and Wi-Fi connectivity standards and offers a 7-inch touch display screen that lets you view today's reminders, stream videos, and even watch smart security camera footage using only the sound of your voice. Coordinate your calendar, find information on the internet, listen to music, or use it as a background digital photo frame. Whatever you need to do, Google Home Hub is the one-stop device to have for controlling your connected home. Cuddle up on the couch this winter while the heat in your home adjusts to your exact needs through the Nest Smart Thermostat, a programmable, Wi-Fi learning device that uses advanced sensors and algorithms to control indoor climates. You don't need to lift a finger: This thermostat learns your habits in about a week and adjusts automatically to regulate your home's temperature based on your personal schedule. You’ll save on energy costs, too, because a personalized Energy History lets you see how much energy you use and suggests ways to easily adjust your usage to reduce your bills. Dial controls and an LCD display make it easy to manually adjust temperatures when you want to but the built-in Wi-Fi means you can also control your thermostat from anywhere using your phone, tablet, or laptop. 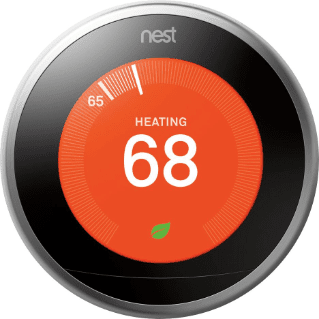 Depending on where you live, some buyers might qualify for a rebate, too, with the purchase of a Nest Smart Thermostat. So go ahead - get cozy and let your thermostat do all the work. Strong internet is the most important part of your smart home. 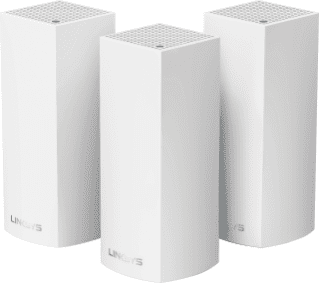 To make your home an internet haven for your connected devices, add this versatile, modular Linksys Velop wireless Wi-Fi system. It's super easy to set up the three identical tri-band dual-stream AC2200 routers, which are each equipped with a quad-core ARM Cortex-A7 processor. Each node adds 2,000 SF of coverage to deliver lightning-fast internet throughout your home and eliminate the possibilities of dead zones. You can even add another layer of security using the Linksys app, which lets you establish parental controls, set guest controls, remotely fix a node, and automatically apply security updates. Give your smart home the Wi-Fi it deserves! 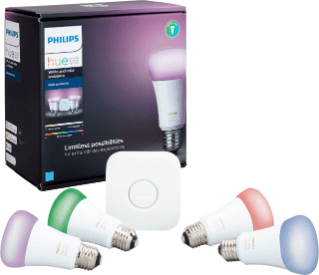 Set the mood and transform your home with this Philips Hue White and Color Ambiance Starter Kit. Whether you want to wake up to a bright, energizing atmosphere, create natural brightness for focused study, or set the mood by dimming the lights for a romantic evening, you can transform your lighting into a personalized experience for any situation. The easy part? Connecting it to the rest of your smart home. The accompanying app lets you customize your lighting from anywhere, so you can just tap a button to make the magic happen. Schedule lights to turn on before you pull in the driveway or shut them off automatically at bedtime, for instance. You can even expand your TV experience to include your lighting or sync a few lamps to match your favorite team's colors when they score. The possibilities are endless when you think about your connected home. Translate them into real life with the perfect gift from Best Buy.